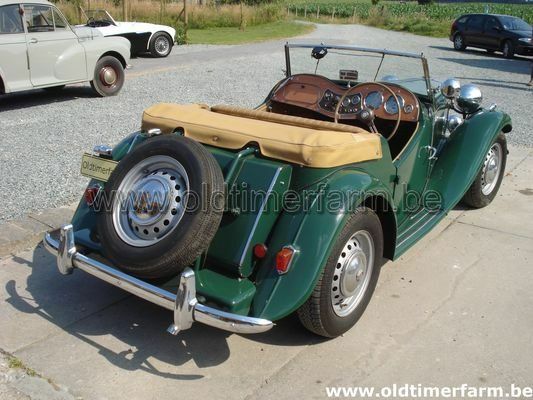 The MG TD can rightfully be described as the most popular of all the T series Midgets, following closely in the tracks of the TC Midget which was the car that put MG on a firm footing in the United States. The fact that the TC had become an overnight success in the American market helped secure a bright future for MG both at home and abroad. But whilst the Americans were still buying the TC in substantial numbers there were calls for a bigger and better updated car. It is worth noting that during 1948 and 1949 which was when the TC was at its peak of popularity, many changes were taking place in the Nuffield group with major management alterations and the new board transferring the production of Riley’s from Coventry to Abingdon in the interests of rationalisation. By the summer of 1949 the production of the TC was outnumbered by the manufacture of non-sports car models such as the Riley one and a quarter litre and the two and a half litre with the production lines running parallel to those of the Y type saloons and unsuccessful YT tourer. 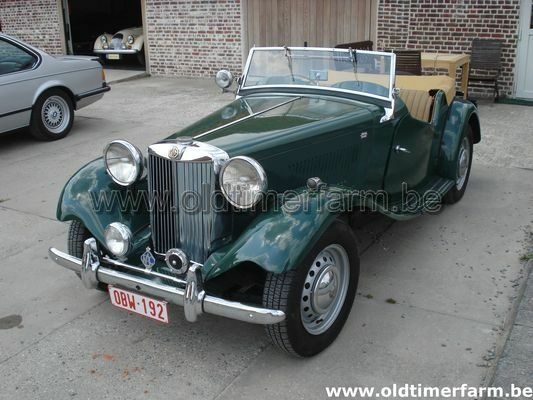 Because of the cool reception for the YT tourer it became clear in 1949 that overseas customers for MG sports cars particularly the Americans wanted something a bit more modern and sophisticated than the TC. Jack Tatlow who was new to the MG management and an ex-Riley man was set to work with Abingdon staff to come up with proposals for a new model to replace the TC. Abingdon was devoid of any investment due to all available money going to Cowley to develop new models there. However Syd Enever, Alec Hounslow and Cecil Cousins commenced work with a small design team to produce a prototype. This was all achieved in the space of two weeks without committing a pencil to the drawing board. Basically 5" was removed from the centre section of a YA saloon chassis frame and the two halves were welded together. A TC body was chopped up and stitched together and placed on the chassis and the end result was a rough and ready prototype that was acceptable to the Nuffield Organisation. The drawing office at Cowley then prepared accurate drawings from the prototype ready to put the car into production. The design team would no doubt liked to have produced something more sophisticated but bearing in mind the financial constraints on development the end result was a car that made commercial technical and product planning sense. Syd Enever decided that the new car should employ a more rigid chassis frame that would not distort under extreme bending and torsional stress and that it should have independent front suspension providing a more comfortable ride. Together with the Y type's advanced rack and pinion steering the car was far easier to handle and the overall package was a car salesman's dream. Another benefit incorporated into the design was the fact that the car could readily be assembled as a left hand drive version for the lucrative export markets. Characteristics. Body – cm (in) : 368/149/135 (145/58.6/53); wheelbase : 239 cm (94 in); weight : 875 kg (1931 lbs). Engine : 1250 cc (76 cid); rear-wheel drive; 3-speed gearbox, manual; power : 54 bhp @ 5200 rpm. Top speed : 129 km/h (80 mph).